With the growing Japanese economy, the draw of the Japanese culture and entertainment industry, and the incredible history of Japan, more and more people are taking an interest in the Japanese language. Whatever reason you have for wanting to learn Japanese, this free online course will teach you basic informal and formal vocabulary for Japanese conversations, as well as how to count people, recognise Japanese characters and adjectives, and more! This course will first introduce you to conversational phrases and teach you how to ask questions beginning with "When" and "Where". You will learn how to describe living and non-living things, how to count people, and study several new Kanji characters. You will also learn how to use the expressions "Gochisosama deshita", "O-genki desu ka" and "Daijoubo desu". You will also learn the difference between "masho" and "-masen ka", both of which are invitations, as well as the conjunction "soshite". You will then learn the phrase "Shitsurei shimasu" and the situations in which it can be used. You will study how to tell approximate times, the past-negative, and the particles "yo" and "to". You will be introduced to Japanese adjectives and learn the differences between "i-adjectives" and "na-adjectives". Next, you will learn about "-ta ga" and "ga", and lastly you will learn the meanings of some really important Japanese adjectives. This course is the fourth in a series of four courses on the Japanese language. Prior to beginning this course, you should have completed the Introduction to Japanese Scripts, the Introduction to Japanese Phrases, and the Time and Parts of Speech courses. But if you're ready to go, why wait? 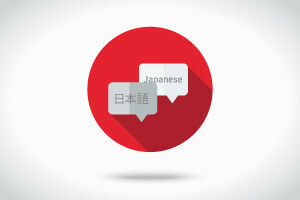 Check out the course now and get one step closer to your first perfect Japanese conversation! Define the meanings of several new Kanji characters and vocabulary.